This accent chair’s design is unique and looks very elegant. The frame is constructed with plywood and solid wood and the leg is made of rubber wood which make the accent chair more stable and sturdy. 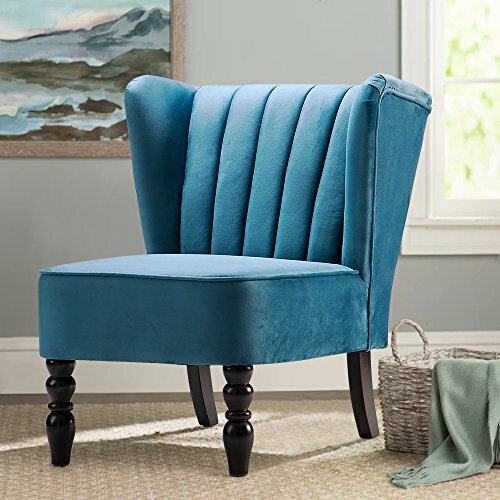 The velvet fabric make the club chair have a soft touch and comfortable seating feeling. If you are looking for such a chair, this one is your good choice. If you have any questions about this product by Harper&Bright Design, contact us by completing and submitting the form below. If you are looking for a specif part number, please include it with your message.